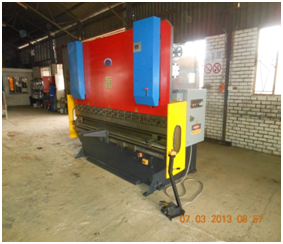 Dynamic Machinery was established in June 2000. 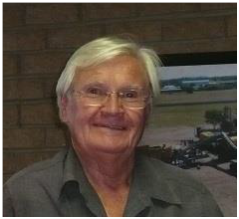 However, as the company may seem young, the sole owner is Mr PIETER JACOBUS ROSSOUW, with ± 40 years experience in the field of mineral recovery equipment and has been involved in establishing mineral processing and manufacturing plants in many countries and companies. We have full time highly qualified draughtsmen with excellent computer skills. Our draftsmen are sent on regular training courses to stay on top of latest technology. All drawings and designs are done on proven computer programs. 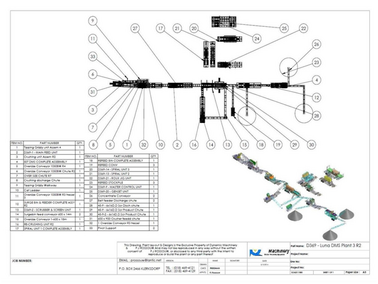 Operating manuals, spares books and electrical drawings are generated to accompany each completed project. 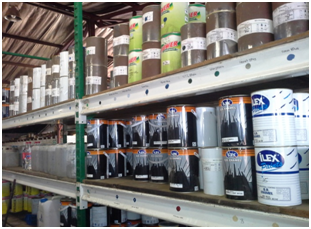 Our stores are manned by three store men with many years experience. We have spares for all our products sold. 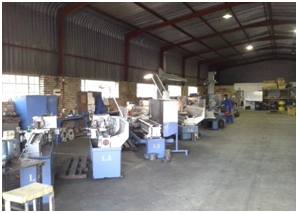 We have two fully equipped tools stores to service our artisans. 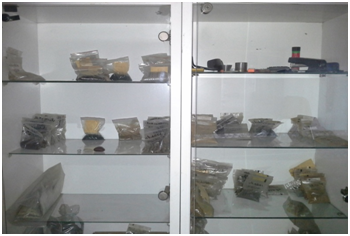 This shop is equipped with lathes, milling machines, drilling machines, key cutters, etc. We have turners, semi-skilled artisans, fitters and general workers in this department. We pride ourselves in the high quality engineering we achieve and maintain. This division is equipped with a CNC plasma cutter, portable profilers, minigraph 4 head cutter, straight line cutters and hand torches. This division is manned by artisans and general workers. 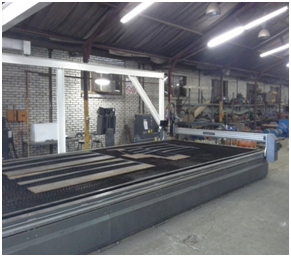 The material prep shop is equipped with 25m plasma cutter, power saws, cut-off machines, punch machine, plate rollers, 300 ton bending press, 3m guillotine, pipe bender and a conveyor belt cutter. This department is manned by both artisans and general workers. 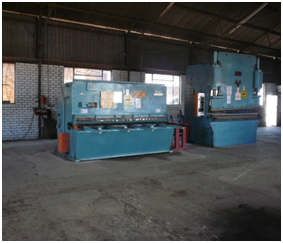 The boiler shop is equipped with all the necessary equipment to make the job flow. We have CO2 welders, arc welders, inverters and various sets of oxygen and acetylene torches on wheels. Many work benches and tools form part of this department. We have boilermakers, semi-skilled artisans, welders and generals workers in this department. 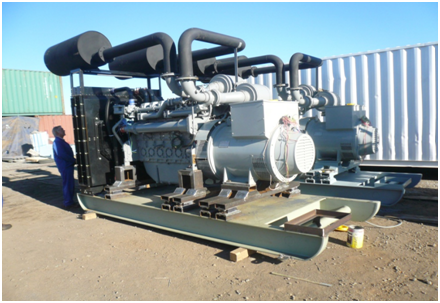 In the current Eskom situation in the country, it is important to know that we have a large back-up generator, so that all projects can proceed, regardless of power-cuts! We have qualified spray painters with general workers in this department. This division is equipped with compressors and screw compressors. We have tank spray sets and airless spray sets. We also do mine and west-coast specs as well as anti-rust spray painting. We have a fully equipped electrical workshop to do general wiring of the projects, as well as a fully equipped panel building shop. This division has fully qualified experienced technicians and semi-skilled artisans. 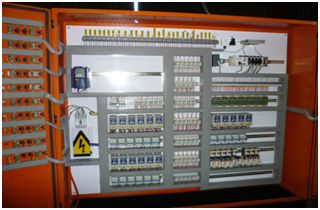 We have the expertise to design fully automated computer driven or manual operated switch gear. We also install power plants from 20KW up to 1MW and more if required. We are equipped to do field and maintenance service. We do installations anywhere it is required in Africa and elsewhere. Our personnel are highly trained and able to do any installation. We also do maintenance and repairs to motors, pumps and gearboxes. We have a fully operational training facility as well as an arrangement with our suppliers, such as Debex, Flow Sort, JT Electronics, Eriez, Grace electrical and others to give training on the equipment they supply to us. 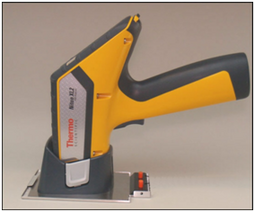 Most of our projects are assembled on our premises and tested before delivery. 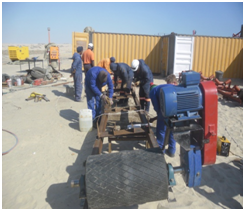 This enables our customers to send operators to be trained before plant is delivered. 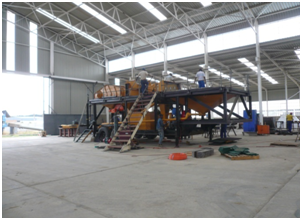 We have designed and erected a fully operational testing facility to do test runs of our customers’ minerals or products. This assists us with the final plant design. 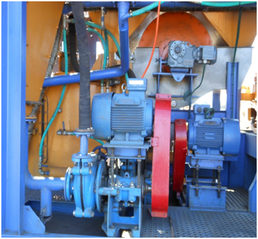 a) Complete crushing plant with a Jaw crusher, horizontal crusher, Gyro and vertical spindle crusher. 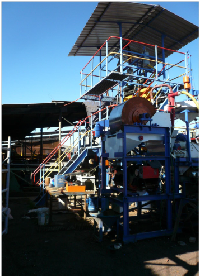 b) Screening facility with separate discharges to collect different size fractions. c) Air classifying system to do dry classification into different sizes fractions, right down to 30 microns. 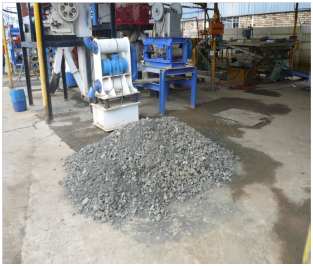 e) Ball mill to do milling operation. h) Sluice box recovery system. i) Spiral plant separation and recovery. Floatation will be our next step in the near future. 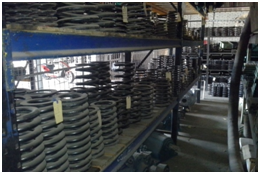 In this division we manufacture wear strips, panel diverters, idler end caps, cyclone spigots, pipe conveyor idlers, vibration mountings, pump couplings, impact panels, wear plated and liners and many more can be manufactured to customers’ needs. 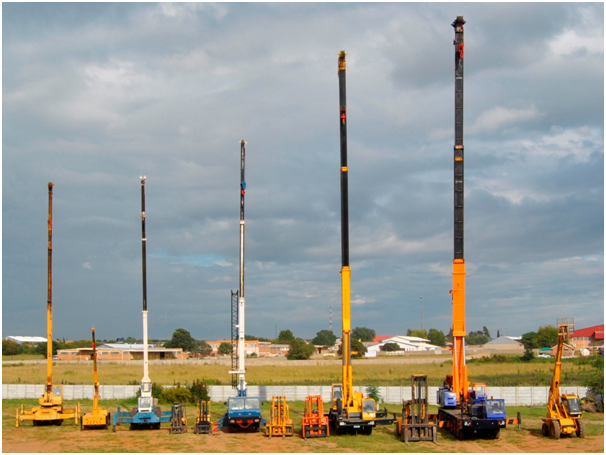 We have our own transport vehicles, mobile cranes, yard cranes, forklifts and a do-all loader. 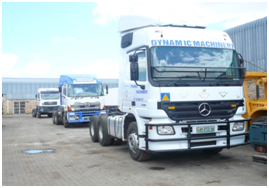 Our fleet further consists of horses and trailers, LDVs and several heavy tonnage trucks. This department is manned by qualified personnel, such as mechanics, drivers and operators, battery service technicians and general workers. We also do running repairs and services to our own fleet as well as repairs and maintenance to many of our customers’ equipment.